Used Vauxhall Mokka X Review - 2016-present | What Car? What's the used Vauxhall Mokka X hatchback like? 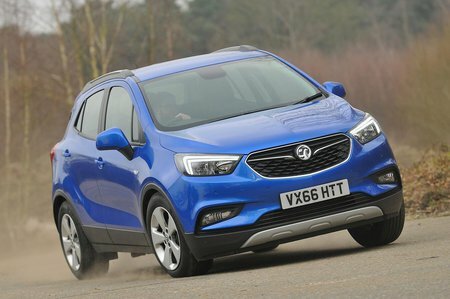 The Vauxhall Mokka X is an updated version of the Vauxhall Mokka SUV, a car that proved surprisingly popular despite it being not terribly refined nor particularly good to drive. Changes to the front and rear styling and a redesigned dashboard were enough to warrant the addition of the 'X' moniker to the Mokka's name in 2016, but the car retains the stature of the original and a great deal of its underpinnings. The choice of engines is limited to a 1.4-litre turbocharged petrol engine in two states of tune, a 108bhp 1.6-litre petrol unit and two versions of a 1.6-litre diesel, with 108bhp and 134bhp. At launch, there were four trims to choose from: Active, Design Nav, Elite and Elite Nav, plus a wealth of options to choose from. As standard, the Mokka X came with a 7.0in touchscreen infotainment system, OnStar (Vauxhall’s 24/7 emergency assistance and concierge service), a DAB radio and Apple CarPlay and Android Auto smartphone mirroring. 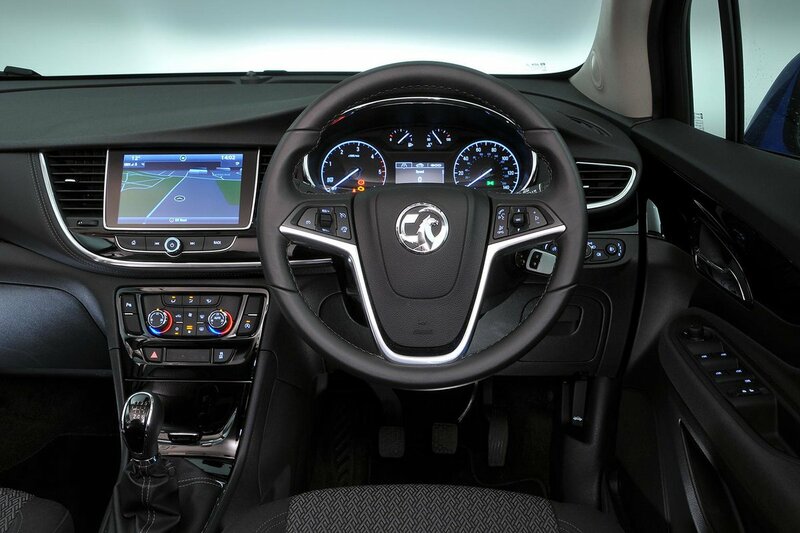 Also included were dual-zone climate control, cruise control and front and rear parking sensors. In Design Nav form, the Mokka X gained sat-nav and a larger, 8.0in touchscreen, while the range-topping Elite models added to that leather upholstery and heated sports seats in the front. Elite Nav models gained sat-nav as standard. The 138bhp 1.4-litre engine is the only petrol unit that feels remotely quick, while the diesels have a peaky power delivery that makes them slightly difficult to drive smoothly. The Mokka X isn’t thrilling to drive. Its steering is light enough to make town driving easy, but it’s uncommunicative and the wheels run out of grip quite quickly in higher-speed bends. The car's handling is also a little vague, with plenty of body lean in corners just adding to the feeling of waywardness. Nor does this softness in the suspension reward the Mokka X with a good ride. It’s poorly damped and fails to settle down over broken surfaces. Refinement disappoints, too, with more noise than you hear in rivals.